I want to do exactly what your cousin did but haven't found a company to offer that in the Chicago area yet. If your class B is current, you have recent experience, and a clean record, look for local companies that operate both box trucks and semis. 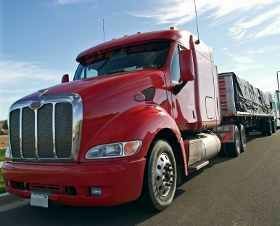 Apply for a class B job driving the straight truck and there is a very good chance they will upgrade you if you express an interest and have shown a good work record. I have a cousin who is the safety manager at a 50+ truck expediting company and he has a program he calls B to A. He gets a lot of drivers by hiring dump truck, school bus and other class B drivers and putting them through the program after they have been successful with the box truck. Indeed.com is a good place to look. As Rob stated yes it is possible but it is more difficult. Out of curiosity where do you live? Are you near a major city? Linehaul may he your best bet if you are, most of the driving is over night and some companies will have you home daily. Plus it one of the best paying jobs in trucking. I live near Bolingbrook Illinois.